Kerala Ayurveda Limited’s endeavor could be termed as ‘Validation of ancient Ayurveda Wisdom through Scientific Interpretation’ – an extremely focused, unique and rarest of rare combinations of clubbing rich Ayurveda Heritage with Modern Science. At KAL, we emphasize on understanding the ancient Ayurveda Scriptures – the Vedas, to recalibrate ancient Knowledge into Modern Applications. Through a structured understanding of Ayurveda and through implementation of various Modern Investigational Methodologies, we develop Products that are benchmarked as per the Protocols and Standards set by Industry Governing Bodies with utmost concern for safety, purity and efficacy with no toxic or heavy metal contamination. 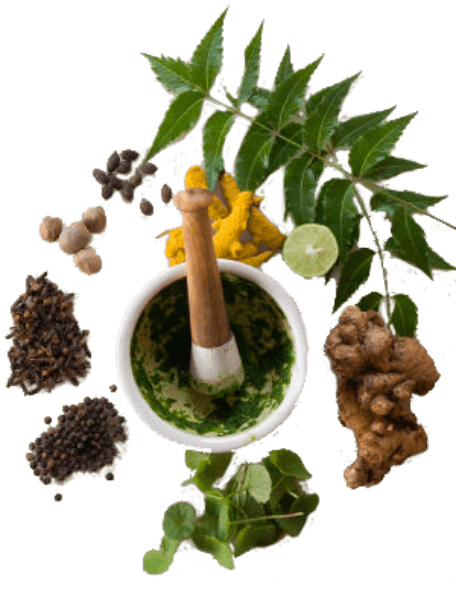 The Research and Development (R&D) Center of KAL is well-equipped and is engaged in various Research activities spanning across all areas of Ayurvedic Research. The Department of Science and Technology, Government of India, has approved this Center. The R&D Division is presently engaged in Drug Research, Clinical Research, Pharmaceutical Research and Research in Agro-techniques and Fundamental Research. It has also formulated, tried and launched various new Formulations that are being manufactured and marketed by KAL. The department ensures the quality of KAL Products by keeping a close watch on each and every phase of production and by monitoring through its scrupulous criteria.New Products are formulated by our R&D Wing after intensive Research, Animal Trials and Clinical Trials. The Drugs developed by them for specific diseases have established a good reputation among Doctors and Patients. Standardization of Treatment and Therapies are managed by Clinical R&D, in which Experts from various disciplines are engaged. Ayurveda extensively uses herbs to restore balance in human body for healing and wellness. Thus identification and use of right herbs becomes very important in determining the efficacy and safety of the product. Our Research & Development Division maintains an impeccable collection of medicinal herbs in our Herbal Garden which spans acres in Kerala. The Herbal garden houses rare and original species of herbs which we use to benchmark quality ingredients thus helping our manufacturing units to produce quality medicines every time. Students of Ayurveda, Botanists, Biochemists and Researchers also make use of our collection to study the taxonomical characters of rare herbs used to make medicines. KATRA PHYTOCHEM (INDIA) PVT. LTD.
Katra Phytochem (India) Private Limited - that enables KAL to develop Effective and Efficient processes for manufacturing Wellness-oriented products at Globally Recognized Standards. Asthagiri Herbal Research Foundation - that possesses over 150 Man-years of Scientific Expertise in Characterization and Authentication of Herbal Actives, thereby assuring the consumer of consistent Efficacy across all batches. Kerala Ayurveda is associated with the prestegious Banaras Hindu University through a unique Public Private Partnership (PPP) for Research, Clinical Studies & Development of Ayurveda products & services. Kerala Ayurveda also operates a Panchakarma treatment center at the BHU campus. Renovel Discoveries, USA – has 100s of Patents, and possesses significant expertise in Drug Discovery and Preclinical Evaluation of promising Products in Biological Models for Safety and Efficacy.